What is the background check like for Lyft drivers? Requirements? How do Lyft and Uber check their drivers? Looking to join the on demand movement and work for a rideshare company like Uber or Lyft? Here are the requirements to become an Uber or Lyft driver. Step 1: The first step to becoming an Uber or Lyft driver is to make sure you meet the required driver criteria. Must be licensed in the US for at least one year, or three years (for Uber) if you're under 23. Agree to a background check. The background check will look for any criminal history, car accidents, reckless driving charges, suspended licenses, DUIs, and history of operating a vehicle without insurance. The background checks are given by third parties. In New York City, DMV and criminal background checks are conducted by the Taxi and Limousine Commission (TLC) according to their licensing standards, not by Uber/Lyft. Step 2: The next step is to make sure your vehicle meets a certain set of criteria as well. The below vehicle criteria is for Uber but other rideshare companies tend to be similar. For a complete list of allowed vehicle types visit this help article here. Step 3: After you satisfy both steps 1 and 2, you can start the application process. The Uber driver application can be found here. The Lyft driver application can be found here. Make sure to check out our driver promotions page before submitting your application to see if you can earn some extra cash up front! Step 4: Your vehicle also needs to be inspected prior to being accepted as a driver. Uber has inspection stations, as well as a list of approved third parties that can issue the inspection for you. Lyft also has vehicle inspection requirement that is illustrated in detail through the online application. Step 5: Submit the paperwork online for your background check. When filling out the online application, you will be prompted to give information for Uber or Lyft to do a background check before they can hire you as a driver. If you do not pass your background check, you'll get a copy via email and instructions on how to dispute the results. Keep in mind background checks may take a few weeks to process. Once you pass all these steps, you will be allowed to use the Uber or Lyft application and start picking up passengers. This may go without saying, but also make sure you have a cellular device that is supported by Uber or Lyft. The companies require that the device have a cellular connection, as they do not support devices that only operate through Wi-Fi. Need help finding rideshare insurance? Click here. How much money can I make driving? With rideshares, drivers set their own hours and can work as much or as little as they want, as long as it is permitted by law. Hence, how much drivers make depends on how much they drive. Drivers keep the majority of the fare and the rest goes to the rideshare company that collects commissions and booking fees. In the United States, Uber drivers make $16.02 per hour before expenses on a national average, according to a survey of 995 drivers (source). When considering expenses, as a rule-of-thumb, many drivers use $1.00 a mile as their net profit. This can, of course, vary; for example, due to a flat-rate booking fee, the take-home would be less for shorter rides and more for longer rides. Typically rideshare drivers earn between 75% - 85% of the total fare (minus fees and tolls) of the trip. The remaining 15% - 25% is paid out to the rideshare company such as Uber, Lyft, and Didi. The commission rate can vary by the rideshare company, geographical area, and even when drivers sign up. Click here for a complete list of Rideshare Companies (Uber, Lyft, Juno, etc) pay out percentages. “Booking fees” or “service fees” are also collected by the rideshare companies for every ride a driver takes on a flat-rate basis. This is on top of the commissions collected. The majority of expenses incurred to drive are typically covered by the drivers who work as independent contractors. These expenses can include gasoline, insurance policies, owning and maintaining the vehicles, etc., and are an important part of how much drivers collect. What is RideGuru's Driver Payout & Take-Home feature? At RideGuru, we believe in transparency between riders and drivers. In the new sharing economy, users have a right to know where their money is going. Our Driver Payout & Take-Home feature breaks down how much of the total goes directly to the drivers and how much goes to the rideshare companies. Companies fees and commissions can vary greatly, and this is why we have incorporated this information into our RideGuru Comparison Calculator. Test it out to see how much you could make per ride! The figures are displayed on each fare card. Are there promotions for first time drivers? Yes, to see all our driver promotions visit this page here. Can you help me find proper Rideshare Insurance? Yes, to find the best rideshare insurance option for your location visit this page here. What passenger information do Uber drivers see before they accept the pick up request? Before a driver accepts a ride they can only see the riders rating, pickup location, scheduled vs non scheduled ride, and service requested. 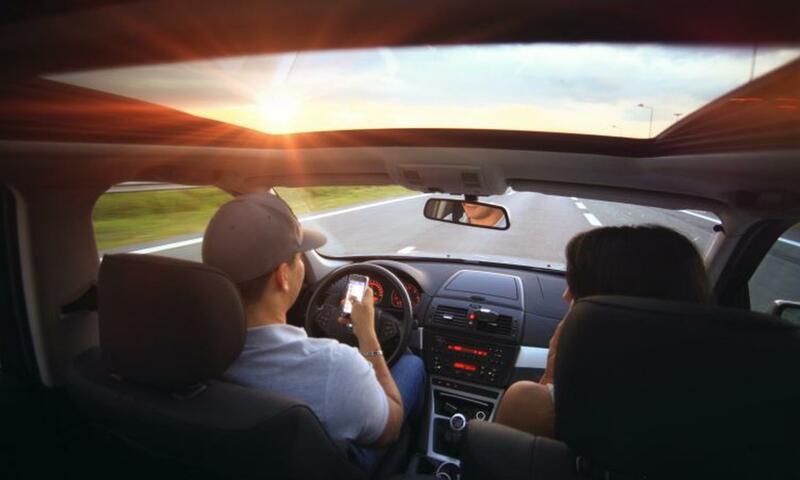 A lot of the information such as name, destination, or rider contact information are not displayed in fear of drivers cherry picking their passengers. For more information on what drivers can see click here. What is an Uber Partner? An Uber Partner is Uber's terminology for " Uber Driver". Can I pick up at my airport with Uber? This is a tough question as it depends on your location! However, most airports now allow rideshare drivers to pick up passengers. To see if your specific airport allows rideshares visit our Airport Policies Page. Are Uber drivers allowed to have a camera or dashcam? Yes, though always check your local laws first! More on this topic here. Still have questions? Want to meet other drivers and share stories? Join our community on the RideGuru forum!